We pride ourselves on our team of professional individuals whose knowledge, experience and skills complement each other perfectly. We’ve been working together for almost ten years now which goes to show what a success the investment in finding the right people has been. Graham graduated initially with a 1st Class Honours Degree in Sports Therapy at the University of Central Lancashire. He has lived in the Lakes since the late 1980’s and has a rich local history working with athletes over the past 15 years. He has completed 7 Ironman triathlons and is a self confessed compulsive obsessive cyclist. Graham completed his Doctorate (PhD) in 2015 which looked at various treatment protocols for cycling specific knee pain in elite and experienced cyclists. Using the latest 3D biomechanical technology he has pushed the boundaries of current knowledge. This means he sees a lot of cyclists and runners with knee pain in clinic and is known for his specialist work in this area. He combines his clinical work with unique bike fitting skills (see Bikefit section). Graham has published papers with various well respected scientific journals (link to Researchgate), has presented at the 2014 pre Tour de France scientific conference, the Cycling Science conference in Colorado Springs, The Science of Cycling conference in Varese, Italy, and is a contributor on the Patello-femoral pain Consensus group which meets bi-annually to produce a BJSM consensus statement. He is also a reviewer for two prominent scientific journals. Consequently, his work in this specialist area is recognised both locally, nationally and now internationally. He is also a regular contributor to Cycling Weekly and MBR magazines. Graham also lectures at Uclan on the MSc in Sports Medicine programme throughout the year. Roxy is currently on maternity leave – Emmylou arrived on 14th February 2019! Our very best wishes to Roxy and Milo. Prior to gaining her degree in Sports Therapy at UClan, Roxy spent placement time here at The Body Rehab as well as helping the physio team at Barrow Raiders Rugby Club. It was during this time that we realised her existing and potential skills, and the rest is history – Roxy has been with us for over 7 years now! Anyone who has been treated by Roxy will know of her high level of knowledge and superb patient interaction. Alongside her extensive experience across the entire musculoskeletal system, Roxy has a special clinical interest in the shoulder and is actively involved in research of this complicated area of therapy. She regularly attends shoulder workshops across the UK and has plans to progress her specialty. She is actively involved in our clinically based research programmes which include writing and submitting scientific papers for peer review. Roxy has worked with Professor Lennard Funk and retains close links with both him and his specialist services. She was trained by Professor Funk in diagnostic ultrasound of the shoulder. Roxy recently completed her Masters (MSc) in Sports Medicine at UcLan which she worked very hard for and achieved a distinction. Over the past few years Roxy has gained a love of outdoor activities. In her spare time she enjoys exploring the Lakes in the form of running, walking, scrambling and climbing. She has had coaching in climbing, swimming, golf and canoeing to enhance her understanding of each individual activity and apply it to her clinical work. She is also an excellent photographer. Prior to gaining her Sports Therapy degree at UCLan, Sue worked with us as a sports massage therapist having gained qualifications from Lancaster and Morecambe College many years prior. Sue has been working with us as a full time therapist now for several years, having held a part time post previously and is a welcome and integral part of the team who built herself a busy client base in a short time! Sue’s own personal sporting achievements include running marathons, competing in triathlons and open water swimming. She has completed the grueling 2-way Windermere 21 mile swim which is indeed a very exclusive club to be a member of. Her various sporting achievements and knowledge add to and enhance her therapy skills perfectly. All our Therapists have a specialist area of clinical interest and Sue is our clinician on the foot and ankle complex. 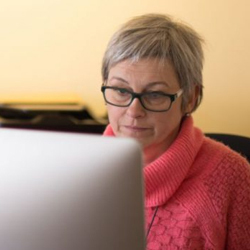 Having attend seminars in foot dysfunction and injury, and running repairs, many clients have experienced the benefit of Sue’s treatment and individually prescribed home exercise plans using evidence based rehab protocols. Cat joined The Body Rehab team in September 2016 having worked in specialist Head/Neck Physio and Critical Care medicine for five years with the NHS. To add to that she also worked specifically in hand injuries for two years. Cat wished to develop her MSK and sports physio skills and has recently added a Masters Degree (MSc) in Advanced Physiotherapy at MMU, Manchester to her skill set. She is an avid road and fell runner (both short and ultra) and enjoys many sports including road cycling and climbing. She loves working with runners and especially fell runners who present specific issues related to their sport which Cat strives to understand and research. Cat is an active researcher with a thirst for knowledge and professional advancement. 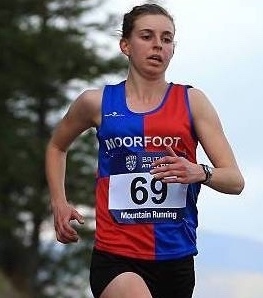 She can be regularly be found competing at running events around Cumbria and the north of England. Anna graduated with a 1st Class Honours Degree in Sports Therapy in 2013. After graduating she became the Sports Therapist at the semi-professional rugby club at Rossendale. Here she provides first aid, injury assessment, treatment and rehabilitation for all the first Team players. She also works with a triathlon and athletics club, a personal training gym, professional boxers and has gradually built up her own client base in Rossendale where she undertakes home visits when not at The Body Rehab. Anna joined the team in 2015 as a well respected clinician. She brings a depth of knowledge to the clinic and a fresh approach that adds to the diverse nature of the existing clinical setup. Her areas of special clinical interest involve neurodynamics and acute/traumatic injury rehab. Anna recently took maternity leave and returned in 2017 part-time. After graduating from the Robert Gordon University in Aberdeen Scout worked as a rotational physiotherapist at York NHS Teaching Hospital. Here she worked with a number of multidisciplinary teams in a range of clinical areas. These included stroke, care of the elderly and respiratory where she gained a broad range of skills. She then moved to a static post working as a Musculoskeletal physiotherapist in the outpatient department. She independently managed a busy caseload treating a wide range of conditions, injuries and rehabilitating patients post orthopedic surgery. She led a number of gym rehabilitation classes and the osteoarthritis cohort management group and was involved in a number of departmental projects. Whilst still working for the NHS she also worked in a private physiotherapy practice to further develop and expand her experience and knowledge in this area. Scout is a keen fell runner and transfers a lot of her personal experience and knowledge of the sport, including learning from injuries and training mistakes, into her practice as a physiotherapist. Planning, goal-setting and regular re-evaluation of her training has allowed her to take a holistic, goal-centred approach to her practice. She is a motivated and enthusiastic physiotherapist, continually striving to improve her practice to deliver a high quality service. 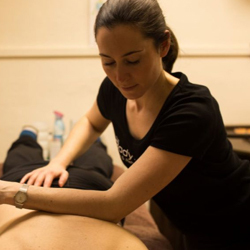 Alli adds further dimensions to our provision at The Body Rehab in that she can be called upon for both personal training and sports massage appointments – both of which she is fully trained and very experienced in. Alli provides pre and post event massage and maintenance sessions to improve flexibility and mobilisation. She also works closely with our clinicians and is often involved in the interim rehab of longer term conditions. Her anatomical knowledge is enhanced by her personal training background which is a great advantage. Personal Training sessions take place on a 1:1 or 1:2 basis in our Rehab Suite and are in general an hour in duration. Being in the heart of the Lake District, should some outdoor work be required, the fells are on our doorstep. Alli has been working in PT for many years and has vast experience in helping you reach your fitness and health goals – and the planning and motivation is done for you! Her PT sessions are charged at £35 per hour. Alli also works from a local hotel where she runs aqua classes and can provide PT sessions from your home too. Alli runs Hatha Yoga sessions on Wednesdays and Fridays based at the Phoenix Gym in Kendal. She can also run 1:1 sessions here at our Clinic in Staveley. Feel free to contact Alli on 077 3910 9738 for further details. To make bookings with Alli for PT or massage, call Di at clinic who has her diary to hand (01539 822 746). Viki provides pre and post event massage and maintenance sessions to improve flexibility and mobilisation. She also works closely with our clinicians and is often involved in the interim rehab of longer term conditions. Viki has a level 5 Diploma in Sports Massage/Soft Tissue Therapy with NLSSM and her anatomical knowledge is enhanced by her being an advanced Pilates teacher, holding several classes and 1:1 sessions locally. We call upon her experience regularly when consulting with clients. With a background in professional dancing, having worked in theatre, music videos and on cruise ships, Viki has many strings to her bow. All of which add up to an in-depth knowledge how the anatomy works. Viki runs regular Pilates classes from venues in Burneside, Brigsteer and the Ulverston area, and 1:1 sessions based at The Body Rehab or your own home. She can be contacted on 07852339533 for further details. Di has been involved with the clinic from its conception and is integral to the smooth running and success of the business. She meets and greets the clients and does all the background work which keeps the clinic on it’s feet. Di is passionate about customer satisfaction and the provision of a first class clinical experience for all clients. She is the cornerstone of our operations and annoyingly efficient!